I am originally from Belgium and I live in The US with My family. I have an amazing Husband, 2 boys and a little girl, they are my source of inspiration. Crochet has been taught in my family from generation to generation. I was taught to Crochet and knit by my mother when I was as little as Five years old, and I enjoyed expressing my creativity through this amazing medium. 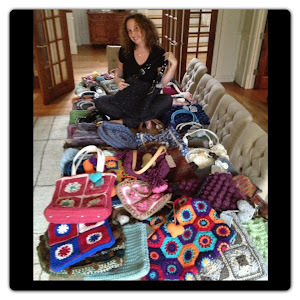 Crochet is my way of staying Zen in this insane world of ours...My Main Goal in this blog is to share the positive effects of Crochet with the world around me, by creating patterns and hopefully spreading a little "crochet happiness" . If I succeed in inspiring a few of you with my work, I then consider myself a very lucky one. By taking the time to explain this amazing craft, I hope to convince more people to give crochet a try, and share the pleasure of Creating something beautiful, useful and fun, out of very little. Sharing knowledge is what keeps us strong. I love your blog, I'm new to crotchet and have been looking for little patterns to practice with, these are fab, and not too old fashioned! Looking forward to experimenting when I can gab a few child free minutes. Thank you. Jane and I just gave crocheted hearts on key chains to her entire class for valentines day and what fun we had making them! you are definitely right...crocheting is a bit of zen in my busy life! sending love this valentines day. Your site is just beautiful! Thank you for the lovely patterns, I was particularly looking for heart squares. Thanks again for all you are giving. Could you please contact me at crochetkim2@yahoo.com with your membership name so that CGOA can confirm your membership for inclusion in the CGOA blog member list. I like all of your design, so good and beautifull. Form your blog, I learn more but I still have more to learn from you. I'm expect to learn how to crochet a shell as yours.Thank you very much. You have been nominated for the Liebster Award by me. Go to:http://wp.me/p1REPU-zo to read all about it!!! I look forward to reading your responses. Congrats!! Hi, I just discovered your blog and I love it! I found you trough the Crafter Corner Café group. New follower here via GFC and Google+. I'm in love with all your creations and the tutorials. 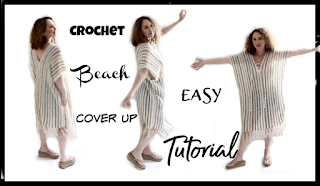 I invite you to visit my blog, I have some crocheted projects and a lot of tutorials. If you love my blog I hope that you will consider to follow me, it will be much appreciated. I just went on your Blog, it is absolutely lovely!!! I am following you now, thank you for your kind comment!!! I absolutely love your step by step instructions with photographs. Makes things so much easier for us who are still at the advanced easy level and struggle with patterns and such. I am trying to locate your Etsy store. Anoo, I look forward to each and every post, design, picture, pattern, etc, that I'm lucky enough to see from you! You've most definitely reached out and touched many hearts with inspiration and passion for the love of the craft! A wonderfoul word . A dream for me . I am happy to see your works . I love your crochet works! I am making a start today with the happy moms day spa slippers! it's a gift for a friend. I hope I can fix them. Dag Esther!!! Ho is the Crochet Going??? Hi Annoo, I love your tutorials and work! Could you please help me to find the Knit One Bandana cotton/wool ( Yarn) I looked it up, but we live in the Netherlands... and it is nowhere to be found. The shipping cost from US to Europa are tremendously, so we are looking for a wholesaler in Europe. Could you give as a clue? Thanks so much and we love you!! Thank you soooooo much Princess, so kind of you!!!! I follow quite a few people on pinterest. Your name is one I actually remember in my head when I'm scrolling down the main page. I can't believe it took me this long to realize that you might blog also. Katie, Nice Comments like yours make my crochet world shine, and give me strength to pursue my passion !! !Thank you! I would love to follow your blog...could you send me your link so I could add it to my "favorites on the web" ? Thank you Katie! !Happy Crochet!! and keep inspiring others!! 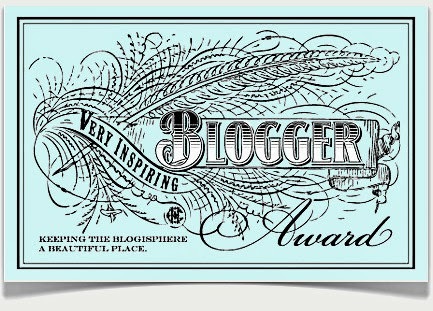 Violette, Thank you sooo much, for your compliment, and for adding me to your Blog roll! I started small too, almostTwo years ago...so you can do it too!!!! Happy Crochet!!! Hi! I love ALL your creations and love your site. I have been following you by email and all of a sudden the posts stopped coming. I came back to the site to try to sign up again, but Feedburner keeps telling me that I am already subscribed. Could you please check on this for me. Maybe delete me and add me back if something has gone awry? I would so appreciate this so much. I don't want to miss a thing! My email is debbiet1452@yahoo.com Thanks for your help! lovely blog ... I enjoy it much! Thanks for sharing your crochet knowledge with others! Your original patterns are beautiful:) Keep on sharing with the world! Thank you and keep up the awesome posts! I just found your site because someone posted the ballenrina top on facebook. I love that! I am definately going to follow you. The pattern you posted for this looks organized and easy to follow. Your site is wonderful! Thank you for all the lovely patterns! Gorgeous patterns. Lovely blog. Thanks for all that you share with us readers. Annoo, your patterns are so lovely! Thank you for making so many free! I made Elsa for my grandchild and she LOVED it. When I showed it to her the first time she said " can I take it home with me?" I loved making it just as much and am working on a personalized one for her and her brother next. Thanks again for sharing your enormous talent! How do I contact you? I just have a question for you. Hi I'm looking to size a vintage dress for girl from your pattern. How to contact you?